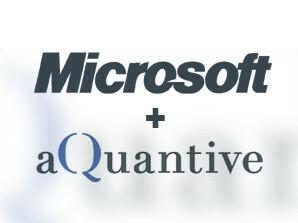 Microsoft today announced a write down of $6.2bn in their online advertising business, essentially wiping out their $6.3bn acquisition of aQuantive in 2007, and conceding defeat in the online display ad segment. Display ads are a particular part of the ad business, dominated by Google through it’s acquisition of DoubleClick (in a competitive process against Microsoft) shortly before the Redmond behemoth completed its largest ever acquisition at that time. Search advertising – with Bing – and other parts of its ad portfolio remain, but there are concerns. First, there are concerns that as the FT reported, the move “reflects the fact that online advertising is no longer expected to produce the growth or profits that had once been projected, the company said in a statement on Monday.” This could refer to either a Microsoft-centric view of the world, i.e. that the growth/profits are unlikely to accrue to them, as opposed to a more objective view that the growth in that business is at an end. I would think it is more likely the former, though there are reasons to be skeptical about the online advertising business and its prospects for continued growth (privacy, tracking, integrated commerce) which we’ll get to shortly. Microsoft has decided to default to “do not track” on the new Internet Explorer release, which undermines ad based businesses on the Internet. Microsoft could be anticipating a significant shift in Internet economics brought on by privacy concerns particularly in Europe and North America, which account for the lion’s share of the world’s ad spend. It could be declaring war on the ad business – and re-balancing the value equation. Microsoft could be taking the view that Google, and the Google ecosystem, will be a free ecosystem, and therefore one of intrinsically lower value, and greater risk to Enterprise customers. Apple is proving that not only can you charge people directly for stuff on the internet, you can even charge them a premium if you execute really well. It must be said that Microsoft isn’t walking away completely from the ad business. Bing remains, and the relationship with Yahoo – whatever that is right now, or whatever it might become as Yahoo completes its end-game – is also still there. All of this doesn’t really help in terms of mobile. One thing we can say for sure is that display advertising – which made up for most of the aQuantive business – is in serious trouble, because it can’t transfer to the app dominated world of mobile. Facebook has admitted in its prospectus that it’s not really sure how to do mobile, notwithstanding its recent integration into Apple’s iOS, and persistent rumors of the Facebook Phone. Google’s Nexus tablet seems to be doing OK, though there remain concerns about how Android gets monetized. Which leads us back to my favourite subject – integrated commerce. It’s unclear who can lead or win in this domain, but as the world becomes digitized and interconnected – a smarter planet, as my employer likes to call it – advertising becomes much, much more than mere display. It is the front end of a commercial engagement, a kind of ad-hoc in-context store-fronting that invites the consumer to participate in a value exchange through the channel that they prefer, at a time that’s appropriate, in a domain that has relevance for them. Let’s do that sentence again, because it’s a lot. It is the front end of a commercial engagement, a kind of ad-hoc in-context store-fronting that invites the consumer to participate in a value exchange through the channel that they prefer, at a time that’s appropriate, in a domain that has relevance for them. The mobile device, the application, the digital context, encapsulates the transaction, and the mobile platform provides an environment within which the commercial transaction can be consummated. That’s not just for retailers, but for all digital service providers (and everyone provides digital services these days). The FT quoted a Nomura analyst suggesting that “most investors would be happy if [Microsoft] were to sell the whole online business to Facebook and back away.” That could be interesting, and Microsoft might well do well as a result. But given the complexities of mobile, it doesn’t mean that Facebook will be successful, and that advertising will resolve its problems in mobile. This entry was posted in Business Model, Google, mobile phones by anthony. Bookmark the permalink.